On some days it feels like winter is still lingering in our pockets. Spring comes for a brief moment, and then it is gone. The crisp morning air, the intermittent rain, and the fleeting sunshine shroud my memories of past Springs. Then I see cherry blossom trees in full bloom and get reminded that it is indeed Spring right now and it is beautiful. It is finally starting to feel like Spring. It look a while but we got there. More varieties of flowers are available at the grocer. Ranunculus stems no longer cost $12 a stem because they are not in season. Cherry blossoms create a canopy for the streets and their petals create a blanket for the ground below. Stone fruits are starting to make their appearance at the store. A bit delayed, but the first signs of spring are finally arriving – slowly, but surely. Spring is a season of renewal and I feel a renewed sense of urgency to create for this blog. Lemons might be considered a winter fruit but they feel and taste like Spring to me. 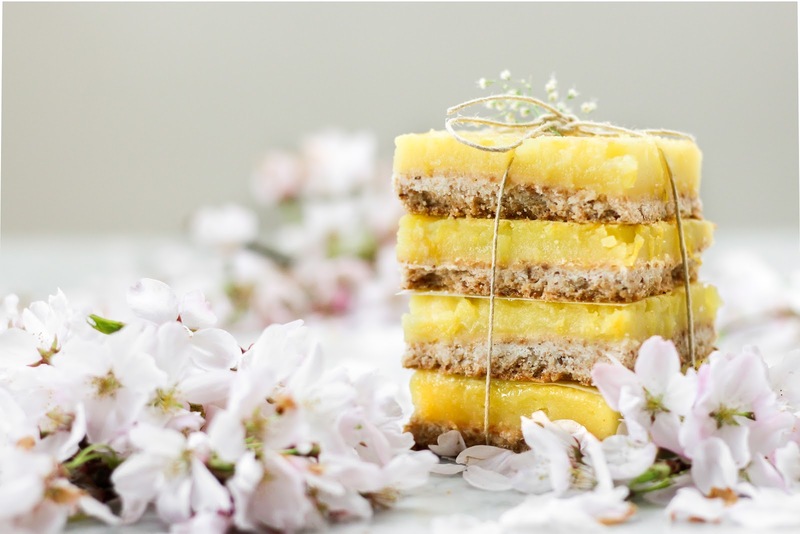 I recently made a lemon ricotta cake for Easter weekend and it was everything I would want in a Spring cake. 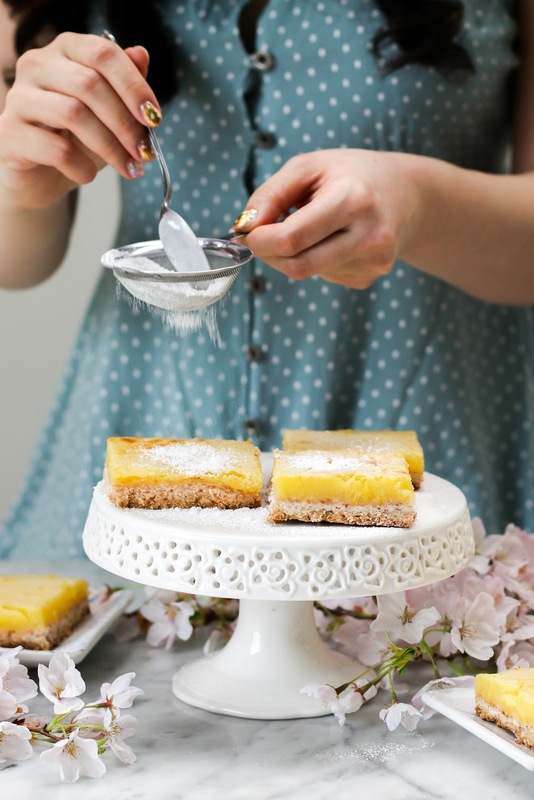 Another lemony favourite of mine is this lemon tart from two years ago and from the looks of it, many of you are into it too because it is one of the most popular recipes on the blog. 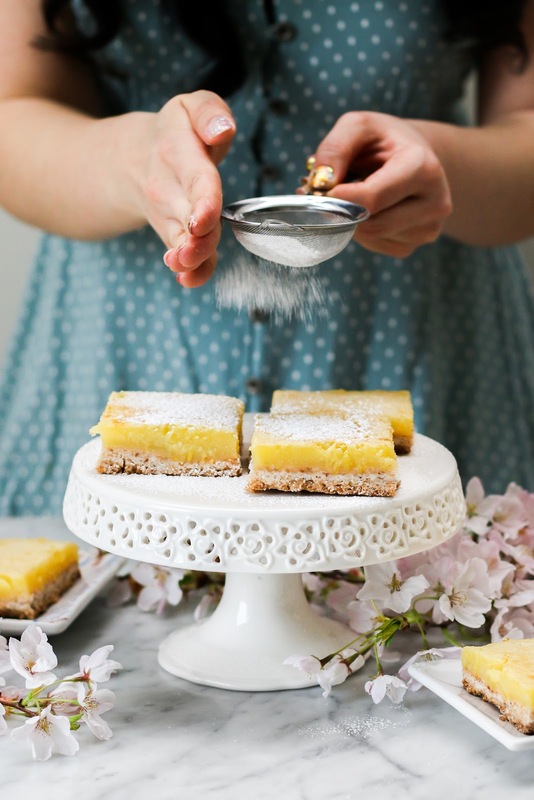 If I ever want a simpler springtime lemon dessert, I would default to lemon bars. They are not fussy to make and I feel slightly less guilty eating a bar than a full slice of cake. They're easily portable and any dessert I can eat on the go is a win in my books. 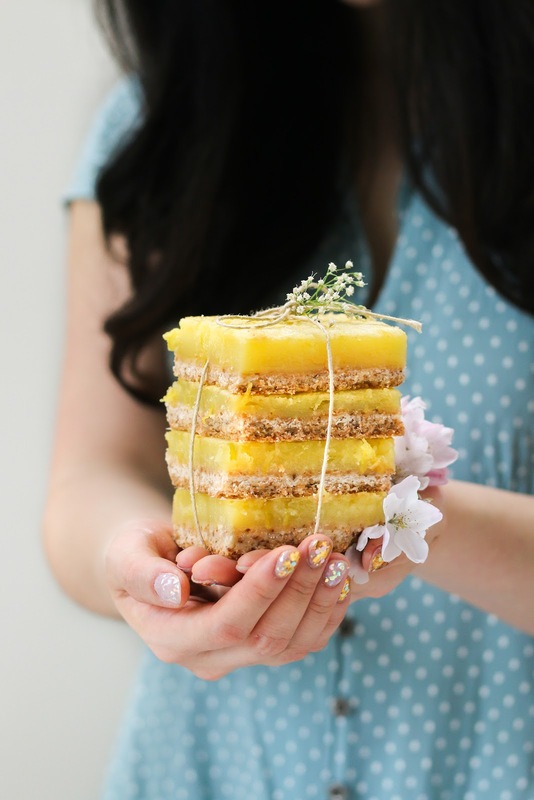 Marie of Food Nouveau recently released a cookbook called Simply Citrus and it is one of those books I never knew I needed. I love books that focus on one ingredient because that means I have a go-to baking bible when I have an excess of a certain ingredient in my pantry but lack the inspiration to create something with it. 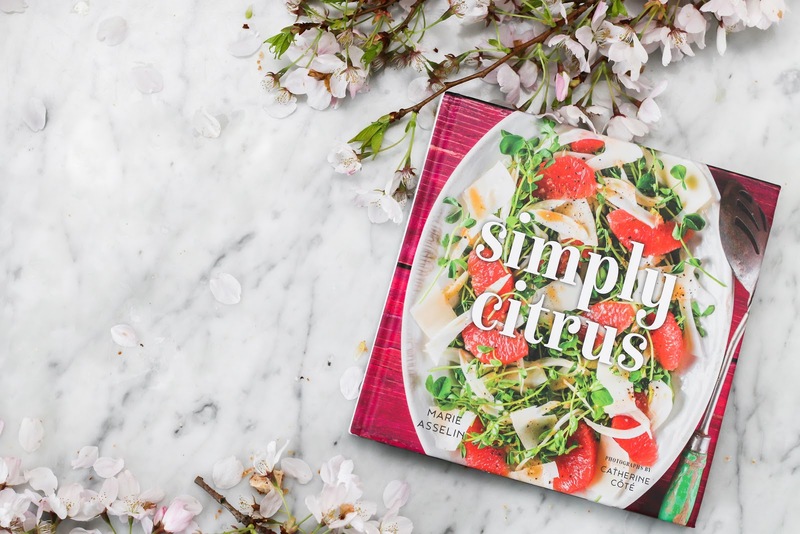 As the title suggests, Simply Citrus is a wonderful collection of savoury and sweet recipes that showcases all the different things you can make with citrus fruits. 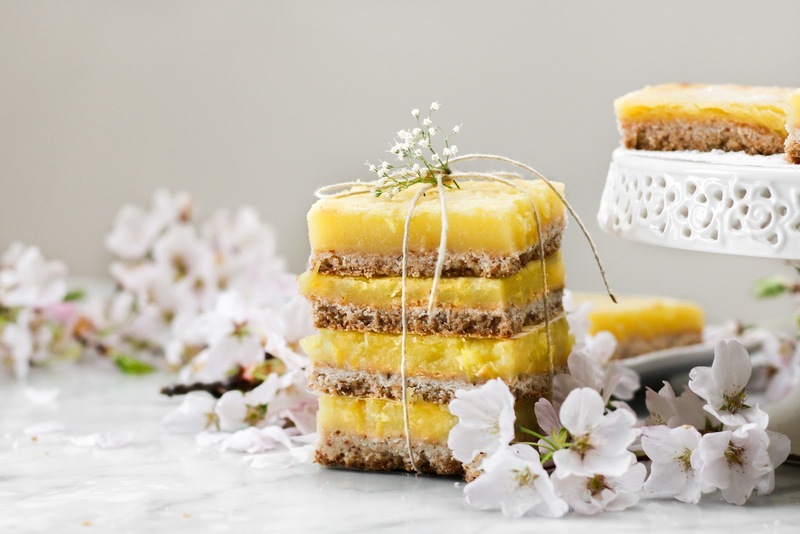 The recipe I decided to make first are her dairy-free coconut lemon bars. 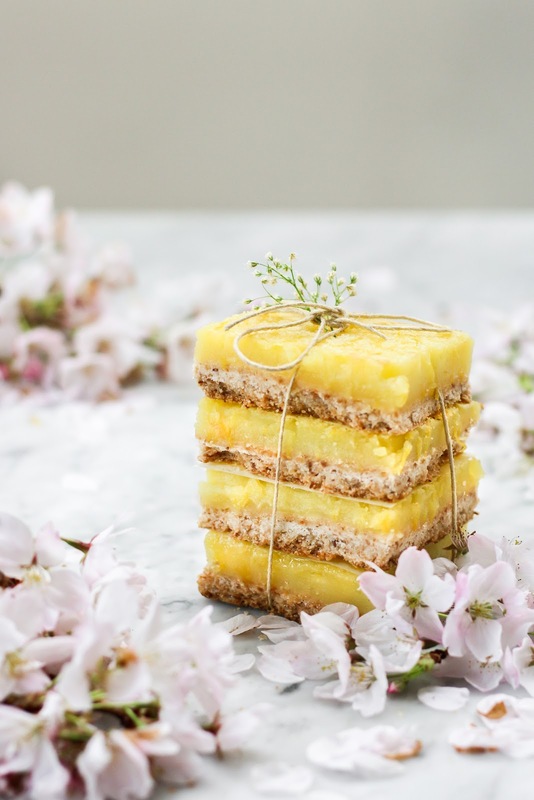 The base of bars use coconut oil instead of butter and the addition of the toasted coconut add an unexpected tropical twist to this classic bar. 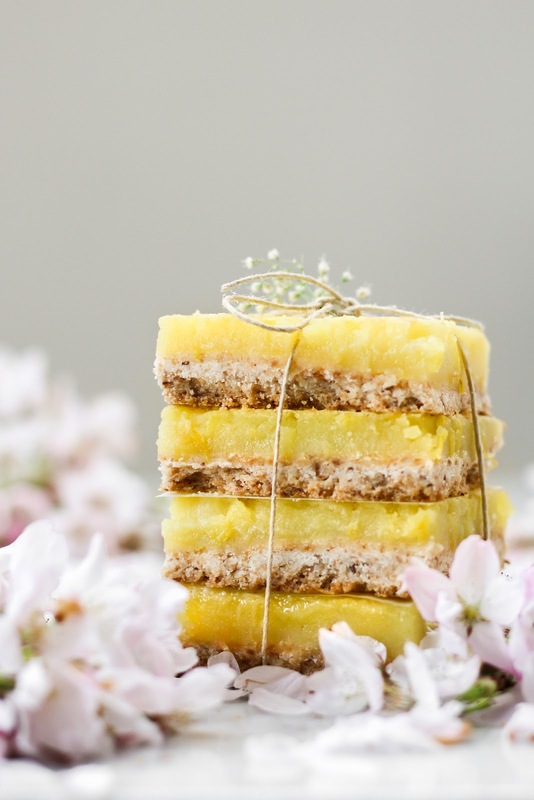 The lemon filling is equal parts sweet and tart, and something I could eat by the spoonful. Preheat oven to 350F. Grease an 8-inch square baking pan and line with parchment paper, letting it overhang on both sides. In a medium bowl, combine flour, coconut, powdered sugar, cornstarch, and salt. Stir the oil into the flour mixture until fully incorporated. Place the dough in the prepared pan, and firmly press all the way to the sides. Bake the crust until it just starts to brown around the edges, 15 - 20 minutes. In a separate bowl, whisk the sugar, cornstarch, and salt until well combined. Add the eggs, one at a time, whisking until each one is fully incorporated before adding the next. Add the lemon zest and juice; whisk until mixture is completely smooth. Pour the filling over the hot crust. Bake until the filling is just set, 15 - 18 minutes. The filling should start to turn golden around the edges and the centre should be a bit jiggly (it will firm up as it cools). Let the squares cool completely to room temperature and then refrigerate for 2 hours before cutting. Just before serving, dust the bars with powdered sugar and garnish with coconut. You can read more about Simply Citrus and pick up your copy here!